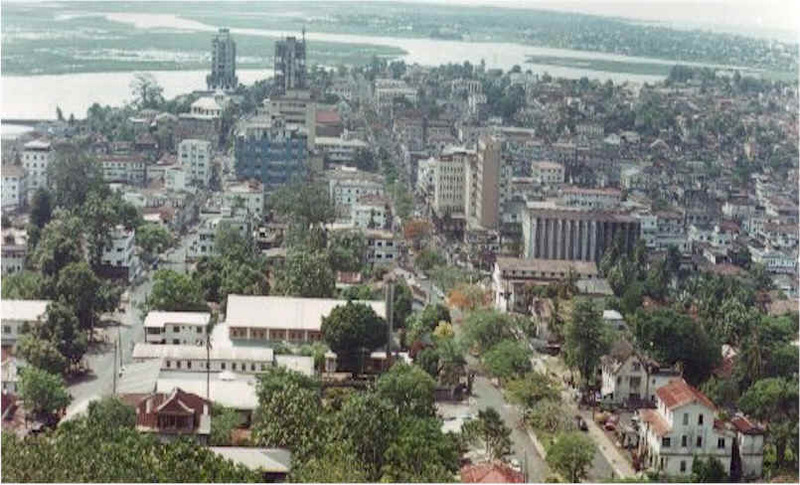 Humanity is urbanizing rapidly, which can mean more sprawls, slums and worse. Or it can mean developing delightful, intense and vital cities with greenscrapers, roofgardens, parkspaces, widewalks, and better. 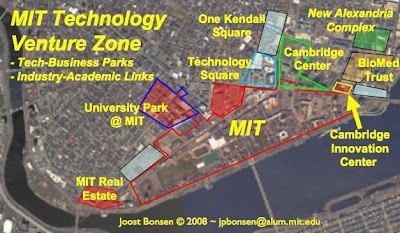 As I've written about before, the MIT campus is a microcosm of the world at large, a small city in its own right, and the ideal place to learn about accelerating urban innovations by doing it, by weaving together multiple new and retrofitted LEED buildings to create a LEED Campus and, indeed, LEED Cities. Towards this goal, some interesting elements I've run across lately, including the Better Streets plan in San Francisco, which is part of a larger Livable City initiative... On the greenbuilding front, Israeli Technion lecturer architects Tagit Klimor and David Knafo were honored for their design of this Wuhan, China Agro-Housing apartment complex such that every household has greenhouse gardens (we need whole neighborhoods of these things)... Jetson Green spotlights this Viñoly greenscraper approved for development in London... 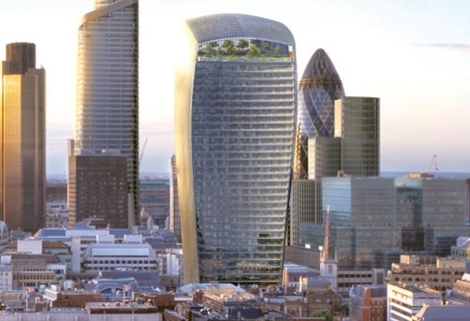 Note especially the Skygarden (seems totally enclosed though)... 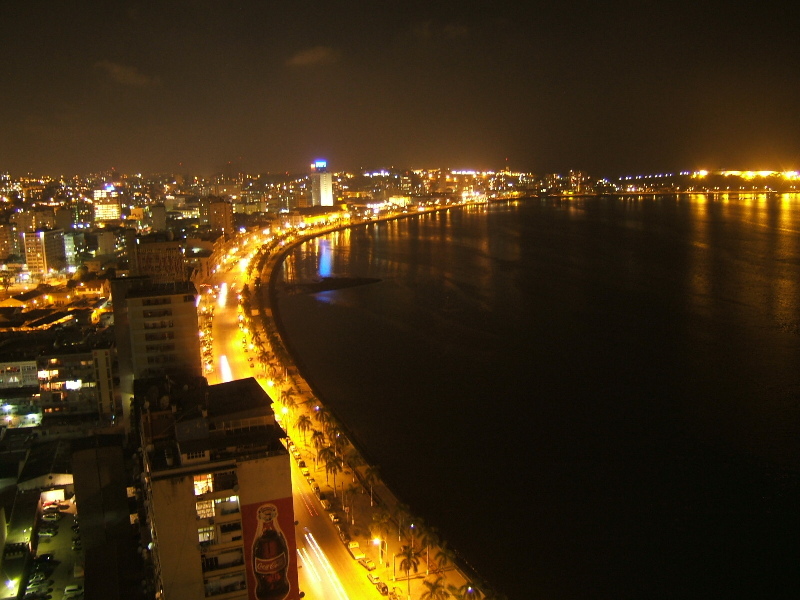 Finally, The Grist list of top Green Cities. One of the more confusingly inconsistent elements of the fictional Star Trek TV universe is the role of the Prime Directive, the principle of non-interference in the internal workings of other civilizations, which, in the TV show, meant pre-Warp Drive extraterrestrial species. Of course Captain Kirk violated the Prime Directive every time it suited him, certainly whenever he encountered galactically-hot alien babes!-) But there is a serious philosophical core to the principle, a deep respect for the sanctity of social and individual rights. And I wonder how it applies to us "modern" humans as we increasingly encroach upon and engage with the last remaining Uncontacted Tribes such as these remote and isolated Brazilian tribesmen... In this particular case, both the Brazilian government and the NGO Survival International are advocating and working towards protecting the territory and autonomy of these people. But for most of human history, alas, the weaker and more "ignorant" group has gotten either decimated or assimilated or worse. E-Cigs or Electronic Cigarettes are so obviously the healthy electric alternative to the Surgeon General's prime sin that it's amazing I hadn't really thought this through till MIT colleague Vikash Mansinghka showed me his own E-Cig just now on the steps of 77 Massachusetts Ave (which, of course, is where I'm blogging this note from!-) The cartridges allow you to pick your degree of poison -- nicotine, of course, but likely any other neuroceutical of your choosing in the not too distant future! And, to ensure proper aesthetic joy, the tip has an embedded LED which glows-up with every inhale! 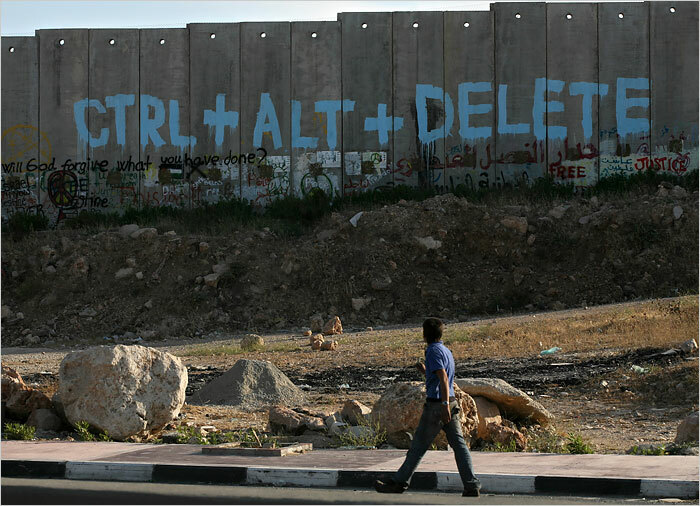 The New York Times today spotlights virtual computer software startup company G.ho.st in an article by Dina Kraft entitled Israelis and Palestinians Launch Web Start-Up. This kind of investment and bridge-building joint-venturing is very exciting because it's one of the better pathways towards regional peace and prosperity in the Vital Levant and the MENACA region broadly. In this light, I'm delighted to point out relevant and related MIT efforts, including Jerusalem 2050 and MEET, the Middle East Education thru Technology initiative. Finally, homage must be paid to the original Gloria Gaynor! I interviewed Barry Kudrowitz, founder & instructor of MIT Toy Product Design class on my HighTechFever TV show tonight. We discussed his latest class which just finished a few weeks ago -- culminating in PLAYsentations! -- and the ten product ideas student came up with, and the broader design and development ethos underlying his efforts generally. (Btw, nice little story in MIT TechTalk last year entitled Toy soldier: At play with Barry Kudrowitz, MIT toy designer) Key factoids: 80% of the students were freshmen thinking about what major to pursue; this was a Mechanical Engineering class... Tomorrow, 7/10 projects are presenting to a real client, the uber-toy company Hasbro. We'll see how many actually productize, of course. But the prospect, the very real chance of commercialization -- of an MIT freshman class project! -- is hugely compelling. In my opinion, not only are toys a fantastically relevant and attractive design challenge, but they embody the harshest design constraints MIT students all need to learn more about -- the hard-core need for extreme usability, ultra low-cost, special ruggedness, extraordinary safety, delight and attractiveness, and more. I suspect, however, that toy design is not perceived as "serious" enough for "real" education at the Institute (nevermind "real" research). But this couldn't be further from the truth: Play-That-Matters and ideation should be front and center and is the ideal rallying theme for a core intro-inspiration class and beyond! I was chatting with several MIT colleagues from our Campus Sustainability Initiative about the power of storytelling to inspire and help people imagine possible futures. And, of course, the world of science fiction is tremendous especially for spotlighting technological possibilities and helping people imagine societal changes stemming from new discoveries and inventions. Well this got me thinking about my favorite science fiction works including Heinlein's Time Enough For Love, Haldeman's Forever War, Asimov's Foundation Series, Stephenson's Diamond Age, and Halperin's The First Immortal. Since Jim Halperin's been so kind as to place it online for free, I decided to read it again just now. Great stuff! Imagining a nanotech-enabled world where cryonics has worked and cryopreserved humans are revitalized. Highly recommended. I also loved his first novel, The Truth Machine, imagining perfecting lie detection technologies and the consequences for society, an idea which in no small measure influenced me to co-create the MIT Neurotechnology Ventures class. Beyond Our Cradle! Ourbots on Mars! Yes! Another landing on the next planet over! Binyamin Appelbaum blogs on Boston.com about Mukesh Ambani's family skyscraper, A $2 billion dollar home. I first wrote about this last December, spotlighting a couple earlier designs for Ambani's Greenscraper, but here we have the latest visualization. I'm a little surprised that private skyscrapers are not a more frequent thing given the boom in urbanization and the growth of vital cities. In any case, I admire the greenscraper aesthetic and hope that we'll see more buildings incorporate vertical gardens, greenroofs, and so forth. AfriGadget spotlights some great DIY toys made out of spare & surplus elements! Reminds me of Arthur Ganson's Kinetic Sculptures at the MIT Museum! Check out these African Choppers and more... Stay 'tooned for DIY instructions! William Wallis of the FT wrote today articles entitled Africa pioneers in private equity initiative and Veteran investor hits at rock star debt drives about the exciting new €400 Million fund by investment partners Miles Morland and Runa Alam called Development Partners International. DPI intends to invest in the relatively underappreciated countries of Africa, including Angola, Algeria, Ethiopia, Libya, and Mozambique. (See also Timbuktu Chronicles post on this topic). Solar Glass ~ Who Will Own This Multi-Billion US$ Sector? What we really need is competent policies encouraging massive economic development in South Africa and the SADC region. The whole area should be as thriving -- on a per-capita economic basis -- as California or Chile or Australia or south coastal China. There should be no economic reason at all for violence. Everyone can and should prosper together. The Synthetic Biology 4.0 Conference organized by the BioBricks Foundation will be in Hong Kong this October. Highly recommended. I was just chatting with Prof Drew Endy about the emergence of the field and he was especially interested in the geography of synth-b innovation, namely where the centroids of activity are. TechLink's Adrian Fay suggested the promising potential of Latin America in this regard, especially Brazil and Argentina, both stealth powerhouses in biology, chemistry, and the life sciences generally. Perhaps we'll see SB5.0 in Buenos Aires in 2009! In an opinion piece in today's Wall Street Journal entitled How to Think About the World's Problems, Bjorn Lomborg argues for essential investments in social goods and services with the highest social and economic return on investment. Vitamin and mineral supplements for sub-saharan babies, TB treatments, generic drugs for prevalent treatable ailments in developing countries, peacemaking and peacekeeping to avoid the ravages of civil war, sub-saharan infrastructure including dams and civil waterworks in Ethiopia and the Sahel. And more. MIT homepage today spotlights newly incoming Freshman Ben Gulak, inventor of the Uno, a Segway-like motorized unicycle and winner of invention awards. David Chandler's written about Ben in a story entitled Incoming frosh numero 'uno' on invention list. 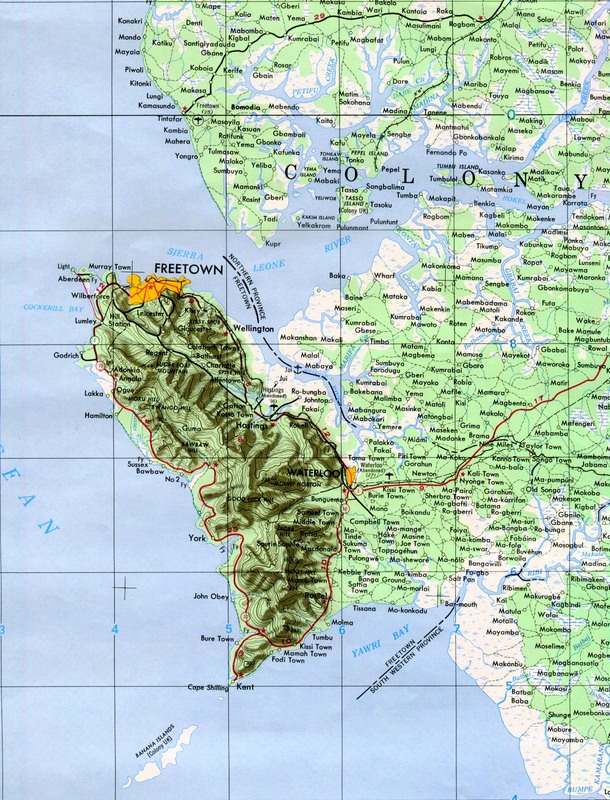 Freetown, Sierra Leone is a currently underappreciated emerging market entrepot. As I posted yesterday, Sierra Leone is at the bottom of the list of global locales -- today -- but I'm convinced that this great natural harbor will become the Hong Kong or Sydney or San Francisco or Vladivostok of West Africa. What can we do to accelerate things and help, by maximizing progress, to transform this key city? As documented today by the FT in an article entitled Dubai group to help region's poor with move into social housing, Emaar, the Dubai-based global real estate and property development giant announced a move into low-end housing. Very compelling and empowering to peoples in target markets Morocco, India, Pakistan, Egypt and the Palestinian territories, all part of the emergent MENACA region. I just stumbled upon this pretty brutal map showcasing best and worst places worldwide. Well, if you, like me, are interested in advancing our Millennium Development Goals, I respectfully suggest that the "bottom" list is a good place to start. Meaning: If we can figure out what works there, the rest is relatively easy... If you want a larger list, check out Paul Collier's Bottom Billion book. Here you see -- courtesy the UK Guardian -- me with Harvard's Daniel Rosenberg (a.k.a. 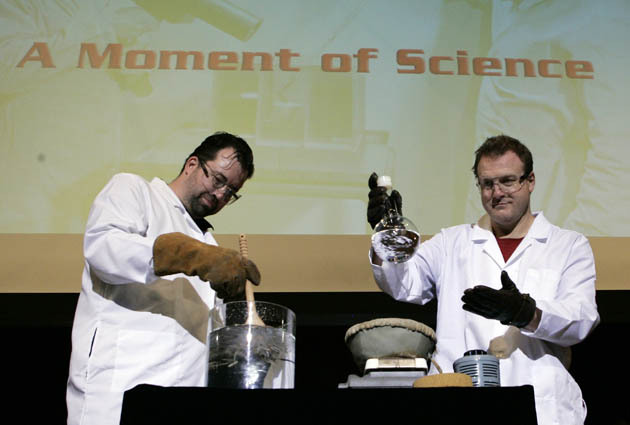 demoguru, DRo, Akayama, Djaniel Robergsen, Master of In Demo Veritas, etc) performing one of our two Moments of Science at the IgNobel Prize Ceremony 2007! For more details behind this failed demo, see DRo's revelations! The Economist latest issue has an article entitled Poor people, rich returns: Is it acceptable to profit from the poor? spotlighting the anti-capitalist socialist core of many microfinance NGOs including Nobel Peace Prize Winner Yunus. The disputes revolve around Compartamos, the Mexican microfinance bank that went public last year, and their supposedly monopolistic explotative practices and lending rates. BusinessWeek last December quotes Yunus blasting Compartamos as well. We urgently need urban innovations of all flavors -- plus rule of law, titleization, infrastructure investments, financial services and more -- to craft viable scalable slum solutions. Just viewed this piece by 60 Minutes on Paul Farmer & colleagues with Partners in Health. While I certainly admire Dr Farmer's innovative and generous spirit and the fantastic, I'm troubled by the focus on treating symptoms and not root causes. What are impoverished people doing having even more babies they can't afford, for example? And this anti-capitalist insistence that everything healthcare-related be "free" when, in fact, that simply means someone else gets the bill. Congratulations to Diagnostics-For-All (DFA), winners of the $100,000 Grand Prize in the MIT $100K Entrepreneurship Competition. Xconomy's Bob Buderi writes a nice review of proceedings and spotlights the other track winners. I was very pleased that both DFA and ClickDiagnostics, the Development Track winner, are both case examples of Developmental Entrepreneurship at its finest at MIT, a theme I've been proud to help incubate and grow here. ClickDiagnostics, for instance, is one of the dozen-plus alum companies from my joint Media Lab-Sloan class since 2001. MIT's 2.00b Toy Product Design class has finale PLAYsentations tonight 5/13 8pm in 6-120! 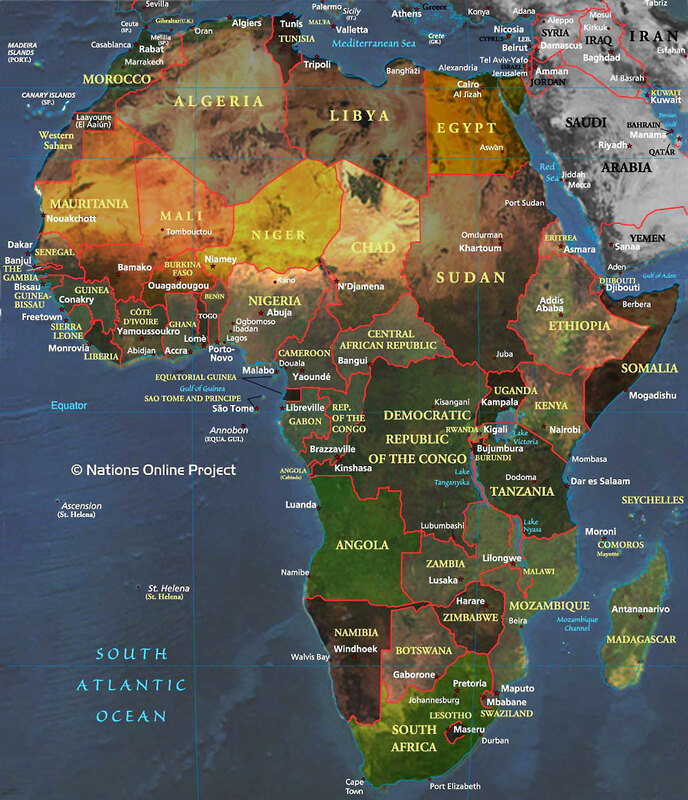 Glorious Africa ~ Great Map! Again from Saharan Vibe, this time a great map of the continent as part of a survey post entitled African Identity -- What is it? Most of our [members] really believe in the power of the tools of capitalism to solve the problem. In an apparently highly controversial new publication, Pierre-Louis Colin reveals the inner secrets of Parisian pretty women. As BBC videomentary entitled Pretty Woman of Paris Guide spotlights, "just as every region has its gastronomy, every quartier has its feminine speciality." Multiple articles abound commenting neutrally, negatively, and positively about this "racy" and politically incorrect guidebook! Along with the abandoned prospect for future Chinese worldwide sea explorations in the 1400s following those led by Zheng He, the unbuilt mechanical Difference Engine by Charles Babbage is one of human history's most remarkable Might Have Beens. Had Babbage been able to successfully construct this computer in the 1800s, an entire steam-powered age of computing, semaphorics, and other elements might have happened which we only later achieved in the 1900s. Imagine history accelerated by a century! (Of course, science fiction authors have long done this, leading to the entire genre of Alternate History). Here's the Difference Engine... The Computer History Museum has more info, an actual working modern replica built to Babbages specs, plus nice little video of this machine. In the latest Economist, an article entitled Energy efficiency: The elusive negawatt spotlights improved efficiency, and in particular “energy intensity” -- the amount of energy required to generate each dollar of output. This de-materialization of economic output (and hence growth) is important viz our Dr Doom discussion from yesterday about sustainability and economic growth. But there's much more to be done in this several hundred billion dollar emergent sector. ICT4D @ MIT ~ Mobile++ Tech at the Tute! I was delighted to see the finale session of the MIT D-Lab on ICT for Development -- i.e. Information and Communications Technology -- today! 8 MIT student-teams and partner organizations in 7 developing countries, are designing and deploying new uses of mobile and other information technologies to tackle some of the most pressing problems in developing countries. Juvenal here makes reference to the Roman practice of providing free wheat to some poor Romans as well as costly circus games and other forms of entertainment as a means of gaining political power through popularity. [...] "Bread and circuses" (panem et circenses) is an ancient Roman metaphor for people choosing food and fun over freedom. It often appears in commentary that accuses people of giving up their of civic duty and following whichever political leader offers to satisfy their decadent desires. This is why "democracy" is not necessarily a totally great idea. The Sustainability of Economic Growth ~ Material vs Intangible Economics? I sat in on today's Sustainability Lab (S-Lab) class at MIT Sloan School of Management, for a session run by Professor John Sterman, the self-described "Dr Doom" and head of the System Dynamics Group. His topic today was can continued economic growth and sustainability occur together? Put simply, if everyone on Earth tried to live the literal lifestyle of modern Americans, we would need 5-10 planets worth of resources and carrying capacity. Therefore, if economic growth meant the same material flows and consumptions per capita worldwide, then sustainability and growth are irreconcilable. Professor Sterman shared both class survey data and general stats showing that people generally have become conditioned or acculturated to the notion that they always need more -- especially more physical, material goods -- and that this is inherently unsustainable, with our collective ecological footprint obliterating the Earth several-fold. Beyond UPOP ~ MIT's Chris Resto Moves On! MIT's Chris Resto just had a going away party! Best known in Institute circles for his work as founder director of UPOP, the Undergraduate Practice Opportunities Program, Chris has personally influenced some 1,000 undergraduates for the better through real-world experiences and professional development. 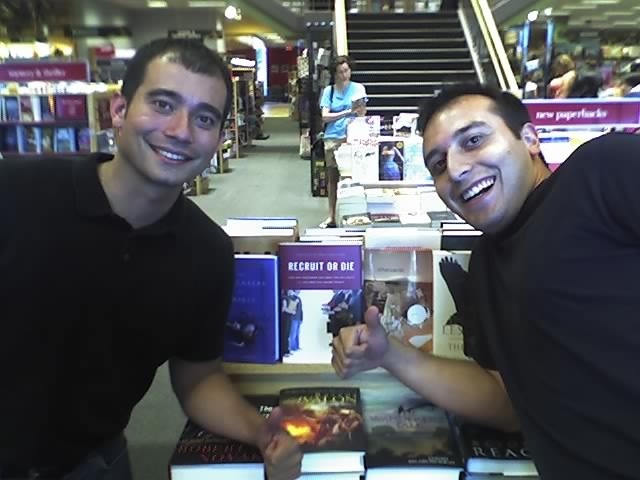 On the side, with co-author Ian Ybarra, Chris wrote the Recruit or Die book helping companies identify and attract the best talent. Chris has been a great friend and colleague and I look forward to future collaborations as fellow alums helping out alma mater! Very good to see MIT Saferide replacing ShuttleTrack with the NextBus service as written up by The Tech in an article entitled Saferide Will Use New NextBus Tracking System Starting In July. It turns out I suggested the original proposal to iCampus for the ShuttleTrack idea to Bhuwan Singh (RIP) back in the early 2000's. Bhuwan talked the later student PIs into taking it on and it's pleasing to see it get going as an example of MIT campus as a transportation-solutions testbed. But ShuttleTrack became ill-maintained and flaky, so it's great to see NextBus. Today's Christian Science Monitor has a nice piece on Amy Smith and the D-Lab family of development, design, and dissemination classes! I interviewed Karl Ruping, founder and managing partner of IncTANK, on my HighTechFever TV show tonight. We discussed his latest seed-stage venture investment activities, including emergent efforts in neurotechnology and biodiagnostics. We discussed previous investments including Agrivida, AgaMatrix, and VehicleSense among other things. Also touched on the power of physical place and the fantastic developments afoot in Kendall Square. The unstoppable Paul Hsieh from GeekPress points out this lovely Gizmodo video, super slo-mo of (what else) Diet Coke and Mentos! Robots for Surgery ~ Medical Innovation in O.R. MIT IDEAS Competition ~ Finale TONIGHT Thurs 5/1!